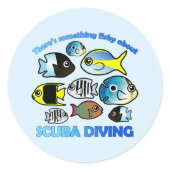 Many scuba divers enjoy watching the underwater wildlife while on a dive. 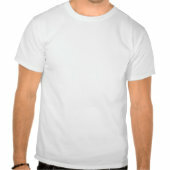 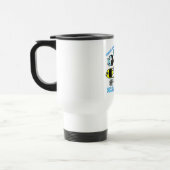 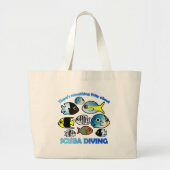 This design features some of the colorful, beautiful - and yes, cute! 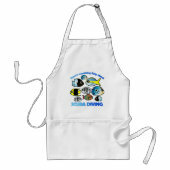 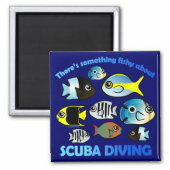 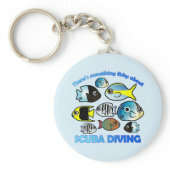 - fish that divers may come across while on a dive. 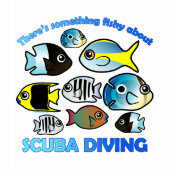 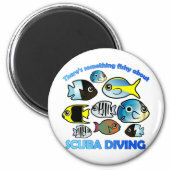 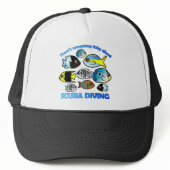 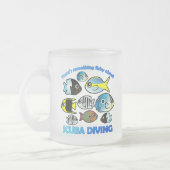 The slogan on this scuba-themed design reads "There's something fishy about Scuba Diving."